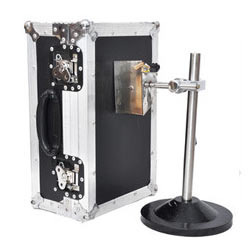 Pioneers in the industry, we offer remote area lighting system, scorpion 700712a/hw009 water jet disrupter, wireless endoscope, rtvs bomb disposal kit, water jet disrupter and hook and line kit from India. 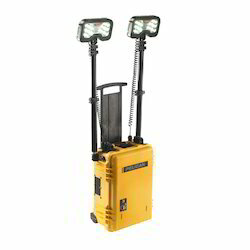 Leveraging on our vast experience, we are involved in presenting a broad range of Remote Area Lighting System. This lighting system is extensively demanded among clients, offered lighting system is designed by using quality assured basic material according to the set industry norms. Our respected patrons can avail this system from us in diverse designs, models and technical stipulation according to the detailed requirements of patrons. The Waterjet Disrupter is composed of a barrel, recoilless, laser sight, nozzle, projectiles, tripod, cables, etc. It is mainly used to disposal dangerous explosives and suspicious objects by a police department, armed police department, army and so on. The device, dubbed the stingray, is made of clear plastic and carries water with an explosive in it. When that explosive is detonated, it creates a shock wave that travels through the water and accelerates it inward toward a concave opening. This forms a thin blade of high-speed water with enough power to slice through a steel IED and behind the blade of water is a slug of water that penetrates the IED and tears apart its inner working. 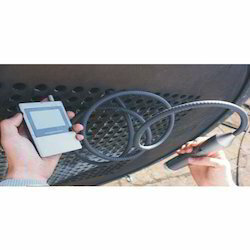 The Wireless Flexible Endoscope Can be adapted to any specific inspection needs by charging to the adequate cable-head. It is able to cover a wide variety of inspections for different focal points, different Inspection objects for Bomb Disposal Expert. The Z100 has many applications like the Search of victims for rescues. It is very useful for Police Forces, Customs, Oil Refineries, Power Plant & Army etc. etc. Owing to our state-of-the-art infrastructure facility, we have been able to manufacture, supply and import RTVS Bomb Disposal Kit. Incorporating modern machinery and cutting-edge technology, the equipment offered by us are manufactured with perfection by our experienced professionals. Besides, owing to our team of logistic personnel, we are able to dispatch our range in stipulated time-period. An excellent piece of indigenously manufactured equipment to neutralize the soft target of a homemade bomb. The waterjet, disrupts the power sources of soft cased bomb. The body of the disruptor is made of high strength steel and it is fired electrically. It is with a tripod stand. To achieve diverse requirements of our patrons in the best possible manner, we are presenting a assortment of Hook and line Kit. 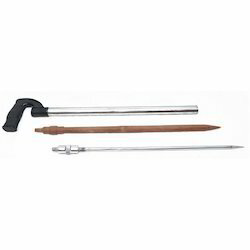 Our vendor’s use best quality assured basic material and contemporary technology for designing this tool kit according to the international quality standards. 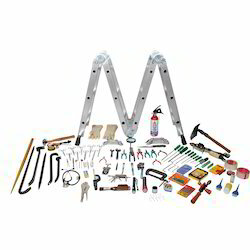 Offered tool kit is accessible in diverse stipulation to meet the mottled needs of patrons. 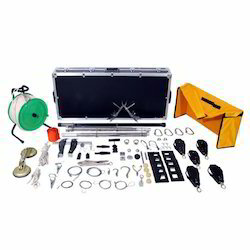 The 36-Piece Non-Magnetic Tool Kit is designed for bomb disposal applications. All tools are manufactured from beryllium copper alloy. It is an essential tool when the person takes suspicious explosives in order to avoid producing sparks because of magnetism. It is particularly suitable for use in special locations such as Flammable materials Handling, Oil and Petroleum Refineries, Gas and Petrochemical, Chemical Manufacturing, Explosive and Pyrotechnics, Aerospace Industry, Aircraft and Missile Plant. EOD Operation etc. All tools are packed in a rugged duty fabric carrying case with non-magnetic fitting. The case has individual cutouts in foam trays provides an excellent tool control system which clearly shows if any tool is missing. Replacement tools can be provided individually. 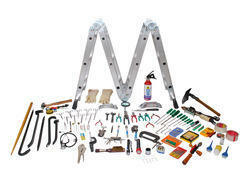 With the support of our team of professionals, we are involved in presenting a broad array of Explosive Inspection Kit. The search kit offered by us is designed from top-class basic material and contemporary technology as per with international standards. This search kit is broadly praised by our patrons and is examined on diverse parameters by quality controllers at vendor’s end. Our experts have introduced Metallic & Non-Metallic Prodder, manufactured using advanced technology and finest quality materials. It enables anti sabotage team or bomb technicians to search out hidden explosives from sand bags, cement bags and flower pots. Customers are ensured to have products integrated with efficient properties and optimum safety features, from our end. With the aid of our vast industry knowledge and skilled personnel, we have introduced RSP Kit. 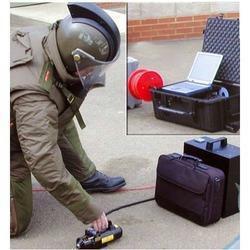 Our experts carry out the designing procedure in accordance with the approved industry norms and thus, introduce these kits to be used in bomb disposal work. Prices offered are minimal and we make delivery in a convenient way. 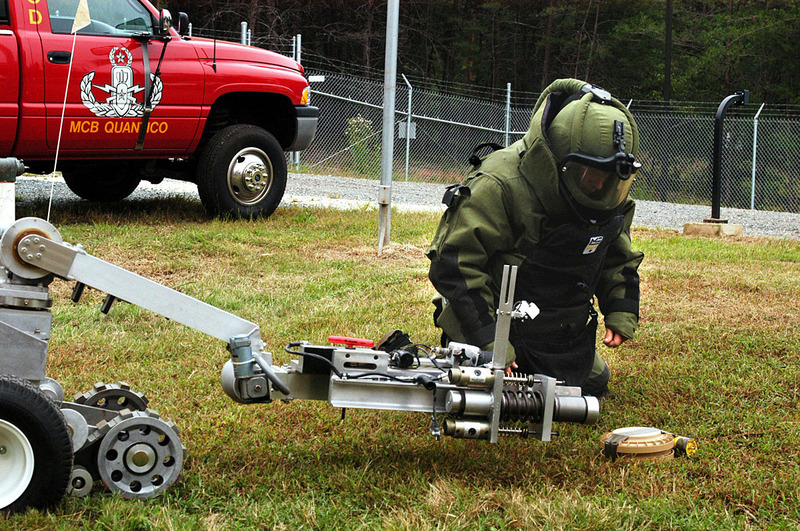 It contains various tools required to carry out access, search & investigation during EOD/IEDD tasks. The bomb disposal took kit contains a comprehensive selection of more than 60 hand tools for access, search & investigation during EOD/IEDD tasks. 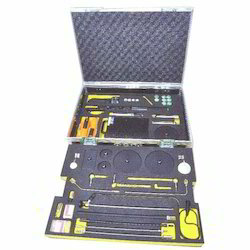 The complete kit is supplied in a flight the case for convenient access. It’s a multipurpose kit for any BDDS officer. Cleaning Kit, User’s Hand Book. 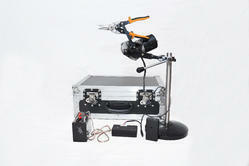 We are engaged in offering Remote Operated Wire Cutter, manufactured in accordance with the industry laid parameters. Offered cutters are used in the detection of different kinds of explosives and provide assistance in cutting the wire around three hundred feet. Highly advanced in terms of technology and being shockproof, these cutters are in great demand. 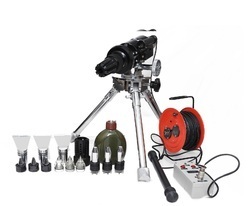 Hook & Line Tool Kit provides bomb technicians with a wide range of tools that can be deployed to gain access and to remove, manipulate and handle suspect explosive devices contained inside building, vehicles as well as in open areas. 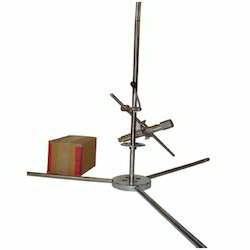 The set is composed of all sorts of sheaves, fastening tool, clamps, expansion link etc. It comprises a a very wide variety of components for attaching a line to a suspect IED, using the different tools to move the suspect explosive devices during search and clearance operations. The bomb disposal took kit contains a comprehensive selection of more than 60 hand tools for access, search & investigation during EOD/IEDD tasks. 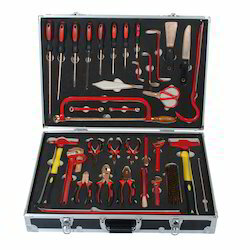 The complete kit is supplied in a flight case for convenient access. It’s a multipurpose kit for any BDDS officer. We are counted as the chief traders and suppliers of precisely engineered Thermal Cutter. It is generally used to make triangle shaped hole in an particular item. This cutter is designed with the use of contemporary technology by using quality assured taw material under the direction of vendor’s competent professionals, this cutter is accessible in diverse stipulation at highly competitive price.